Bringing her passion for food and appetite for adventure, celebrity Chef Nikki Shaw is committed to spreading awareness of and combating childhood obesity. Chef Nikki is a trained media spokesperson specializing in recipe development and product endorsement for major corporations. She has been a featured chef for the American Diabetes Association, American Heart Association and Kaiser Permanente. She is a spokesperson for the National Childhood Obesity Foundation and the California Department of Public Health’s Network For A Healthy California. She conducts healthy cooking demonstrations and educates communities about the importance of making smart food choices and staying physically active, on TV and in-person. She is also a spokesperson for First 5 California; hosting nutrition PSA’s targeting parents with children ages 0 to 5 years old. Chef Nikki is a featured Media Chef/Spokesperson and Community Ambassador for the Oakland A’s, promoting the teams Community Wellness Campaign. She’s also on NBA.com for the NBA Cares campaign. She is a featured Chef/Instructor for the Golden State Warriors, also the L.A. Lakers official website, offering information and recipes to help prevent childhood obesity. She was also a Media Spokesperson and Recipe Developer for the J. R. Simplot Company and an online Chef for Kraft Foods. 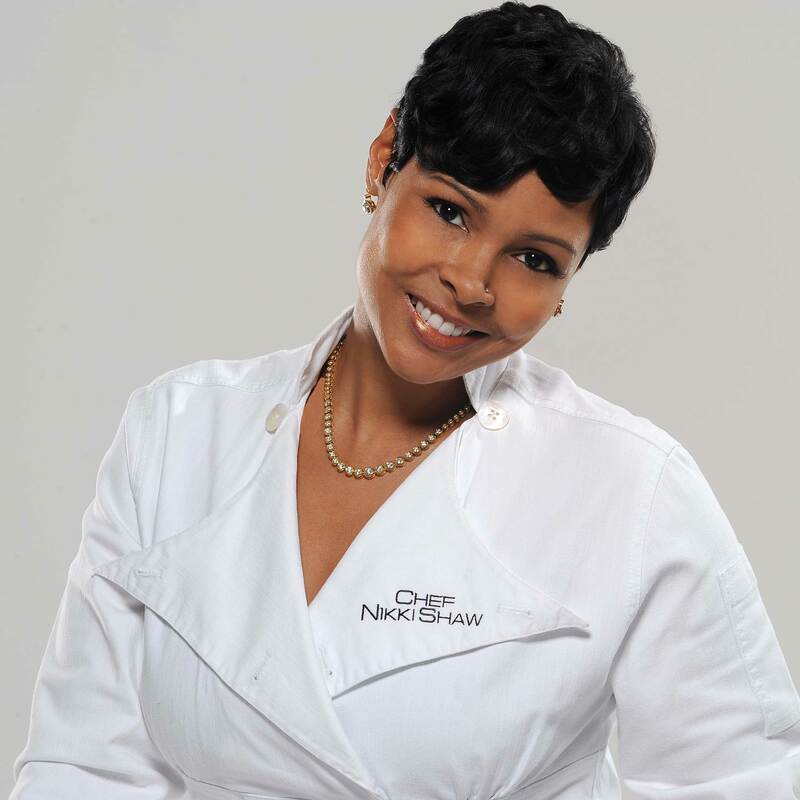 Chef Nikki has appeared on Food Network as a finalist on The Next Food Network Star: Season 3 and was a food and wine instructor on Jamie Foxx’s MTV reality show, From G’s to Gents. She was also a featured chef on the hit VH1 series Basketball Wives. Chef Nikki graduated with honors from Howard University in Washington D.C. with a Bachelor’s degree in Journalism. She graduated as a Chef from the Southeastern Culinary Academy and completed her internship at Disney World in Orlando, Florida. She and her husband, former NBA player and Assistant Coach for the L.A. Lakers, Brian Shaw, reside in California with their children.